Wales gave themselves a mountain to climb after labouring to a 4.5-0.5 defeat in the morning foursomes. And despite rallying in the singles, Derek Hughes’ side were worthy winners. Ireland held a narrow 3-2 lead after the morning foursomes but there was always a sense this match would go to the wire – and so it did, to the final green in the final match. Barrie Douglas’ Scotland side seized the early initiative in the singles and at one stage looked set to win. However, as long shadows spilled across the fairways at the day’s end and the pressure mounted, the outcome was a halved match. On reflection, it was a fair result but there were mixed feelings in both camps. While Douglas reflected on what might have been, his Irish counterpart Roy Archibald was simply relieved. The final act saw Scotland’s Robert MacIntyre play a fine approach into six feet at the 18th in his match against Alec Myles. 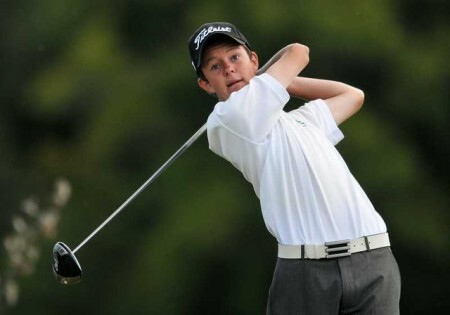 The Irish teenager pulled his second at the par four and when he failed to get up and down the left-handed Scot secured the two-hole win as the overall result finished 7.5-7.5. 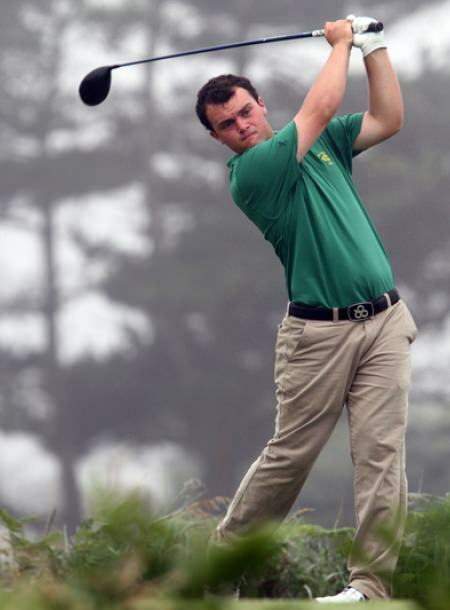 There were many talking points, not least the attempted comeback by Stuart Easton before Jack Walsh eventually prevailed for Ireland at the 18th. The Irish player had been four up before Easton put a run of five birdies together in the middle of the round to take the match to the 18th. Easton played a poor pitch and failed to make par and Walsh held his nerve to hole from eight feet for par and a one-hole win. Sligo’s Sean Flanagan and Galway’s Ronan Mullarney also held their nerves at the 18th to halve their respective matches against Barassie’s Euan Walker and Lundin’s Niall McMullen. Today’s results leave England in the driving seat and the defending champions will now take on Ireland, while Scotland play Wales on day two. Foursomes: Scotland 2, Ireland 3. Whoops. Ireland snatched defeat from the jaws of victory when they went down 8-7 to underdogs Wales on the opening day of the Home International Matches at wet and windy Hillside. Simon WardEngland had a flattering 9.5 - 5.5 win over Scotland. Kevin Flanagan’s defending champions led 3-2 after the morning foursomes but lost the singles 4-6 and must now beat England on Thursday to have any chance of retaining the Raymond Trophy. 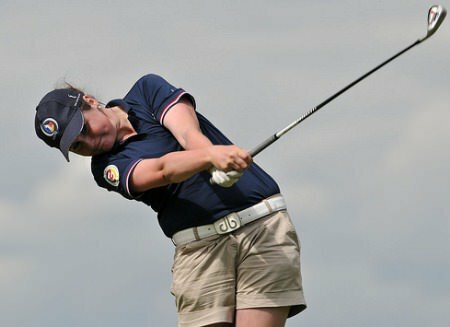 Ireland’s Olivia Mehaffey had two wins on the opening day of the Home Internationals. © ILGUIreland’s hopes of winning the Ladies Internationals for the first time since 2004 began with a 4.5- 4.5 tie with Scotland on the opening day at Scotscraig.